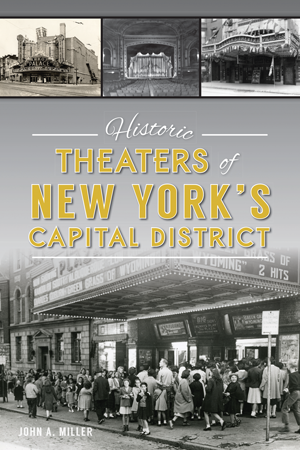 For generations, residents of New York's Capital District have flocked to the region's numerous theaters. The history behind the venues is often more compelling than the shows presented in them. John Wilkes Booth brushed with death on stage while he and Abraham Lincoln were visiting Albany. The first exhibition of broadcast television was shown at Proctor's Theater in Schenectady, although the invention ironically contributed to the downfall of theaters across the nation. A fired manager of the Green Street Theatre seized control of the theater with a group of armed men, but Albany police stormed the building and the former manager regained control. Author John A. Miller charts the entertaining history. John A. Miller is a graduate of SUNY Oswego and SUNY Albany, where he received his MA in history. When he is not gravely misjudging the scope of his research, he enjoys writing fiction, reading, watching bizarre films and making weird noises at his dog. This is his first book.